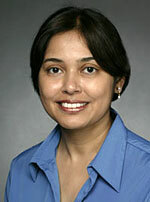 Rina Ghose’s research interests intersect Critical GIS, urban geography, and political economy. Her research questions center around poverty, inequality, and social justice. She has conducted decade-long research on public participation GIS among traditionally marginalized citizen groups, to examine how GIS technologies can be used as modes of resistance to combat structural inequities and inner-city poverty. As part of this research agenda, she has also examined social activism and grassroots community organizing in the inner-city, and explored collaborative planning programs that are used in inner-city redevelopment. Ghose, R., & Welcenbach, T. (2018, February). ‘Power to the People’ Contesting Urban Poverty through Open GIS. Canadian Geographer, 62(1), 67-80. Ghose, R., & Pettygrove, M. (2018, July (3rd Quarter/Summer)). Urban Community Gardens as Spaces of Living. Handbook on Spaces of Urban Politics, edited by Andrew Jonas, Byron Miller, Kevin Ward and David Wilson, 320-335. Routledge. Pettygrove, M., & Ghose, R. (2018, January (1st Quarter/Winter)). From “Rust Belt” to “Fresh Coast”: Remaking the City through Food Justice and Urban Agriculture. AAG (Ed.). Annals of the American Association of Geographers, 108(2), 591-602. Ghose, R. (2017). Public Participation GIS. Annals of the American Association of Geographers (Ed.). International Encyclopedia of Geography: People, the Earth, Environment, Technology, x, pp. 5403-54013. Pettygrove, M., & Ghose, R. (2016, June). A Synthesized Framework for Urban Geographies of Food and Dietary Health. Geography Compass, 10(6), 268-281. Kar, B., Sieber, R., Haklay, M., & Ghose, R. (2016, October (4th Quarter/Autumn)). Public Participation GIS and Participatory GIS in the Era of GeoWeb. Cartographic Journal, 53(4), 296-299. Ghose, R., & Appel, S. (2016, October (4th Quarter/Autumn)). Facilitating Spatial Data Sharing in PPGIS: The role of the University Library. Cartographic Journal, 53(4), 341-347. Pettygrove, M., & Ghose, R. (2016, January (1st Quarter/Winter)). Community Engaged GIS for Urban Food Justice Research. International Journal of Applied Geospatial Research, 7(1), 16-29.